Fox is trimming their comedy slate. According to The Hollywood Reporter, the network has canceled the long-running comedies Brooklyn Nine-Nine and The Last Man on Earth, as well as the two-season comedy The Mick. 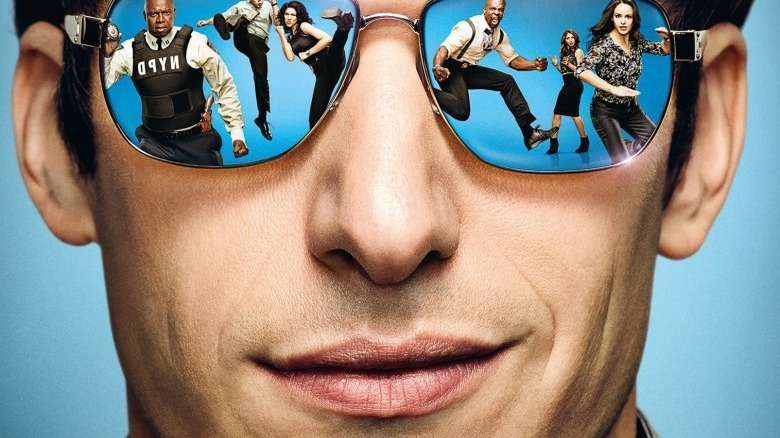 Brooklyn Nine-Nine comes from Dan Goor and Michael Schur, both formerly of Parks and Recreation. The series has run for five seasons on Fox, but it was never a huge ratings hit, despite winning two Golden Globes, including Outstanding Comedy Series, in its freshman run. The series has also earned Braugher three Emmy nominations for Outstanding Supporting Actor, and it has won two Emmys for Outstanding Stunt Coordination. The Last Man on Earth stars Will Forte as, ostensibly, the last man on earth. Over the course of the series' four season run, though, Forte's Phil Tandy discovered that he was far from alone on the planet, with Kristen Schaal, January Jones, Mel Rodriguez, Cleopatra Coleman, and Mary Steenburgen also showing up in regular roles. Guest stars on the series have included Jason Sudeikis, Boris Kodjoe, Kristin Wiig, Chris Elliott, and Fred Armisen. The show, which was created by Forte, ended on a cliffhanger, and according to some sources, that could lead to a shortened final season at a streamer like Hulu. The show was nominated for five Emmys throughout its run, including two nods for Outstanding Lead Actor for Forte, another writing nomination for Forte, and a directing nomination for the duo Phil Lord and Christopher Miller, who were behind the camera for the series' pilot. Also going off the air is The Mick, featuring It's Always Sunny in Philadelphia's Kaitlin Olson as Mickey Molng, an irresponsible woman who winds up getting saddled with taking care of her sister's rich, spoiled children. Sofia Black-D'Elia, Thomas Barbusca, Jack Stanton, Carla Jimenez, and Scott MacArthur also star in the series, which was created by John and Dave Chernin. The three comedy series mark the first big cancelations for Fox, which has already handed down renewals to Empire, Star, The Simpsons, The Orville, The Gifted, 911, and The Resident. It has also ordered the Mark-Paul Gosselaar vampire drama The Passage, the multicamera sitcom The Cool Kids, and the legal drama Proven Innocent. Still awaiting word on cancelation or renewal is Bob's Burgers, The Exorcist, Family Guy, Gotham, Lethal Weapon, Lucifer, Ghosted, and L.A. to Vegas.